Yes, that’s right, WalMart has gotten into the gluten-free food business. Technically, I’m not sure their Dark Chocolate Granola Bars actually qualify as GRANOLA since they seem to be made of rice crisps, but I’m not complaining. I really, really like these. 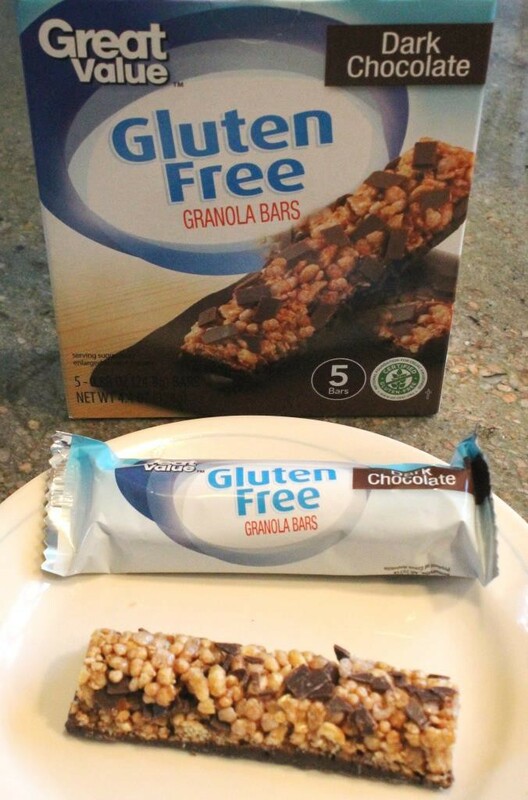 So many gluten-free granola bars require bionic jaws to chew them, or teeth of steel to crack into them. These bars are light and happy and sweet, sort of like what I would imagine Rice Krispie treats would be like if you added chocolate flakes. Five bars come in a box for $2.48 which is about 50 cents less than the least expensive gluten-free snack or granola bars. Unlike the others, these are not “packed with nutrition,” but they have only 100 calories and 2.5 grams of fat. They’re great for a quick sweet tooth fix. Beware, if you eat while driving or on the couch, the chocolate flakes do have a tendency to fall out. You wouldn’t want those on your pants. No, that didn’t happen to me. They fell all over the plate in the photo. I’m just sayin’. I like these bars a lot and I do recommend them. Serious. Dead serious. Not kidding. These cookies are the most awesome cookies ever, even better than glutenous cookies! Imagine, if you will, the outer edges of a brownie – just a little crispy on the outside but still chewy on the inside. Then imagine an entire cookie exactly like that. 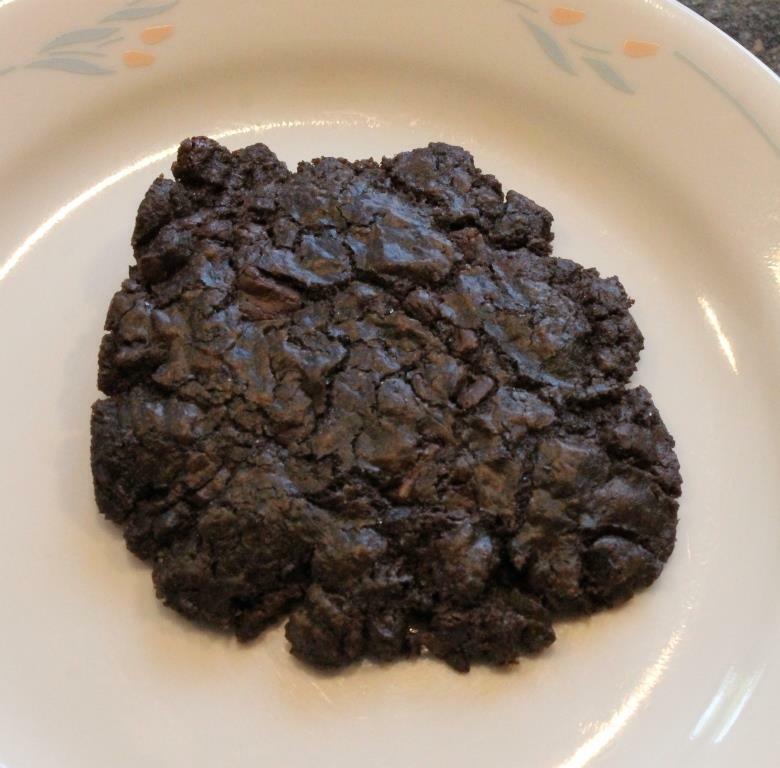 That is what the Immaculate Baking Company has created with their Fudge Brownie Cookie Dough. You get 12 balls of dough in a tray. Flatten those out (I use wax paper and the palms of my hands), pop them in the pre-heated oven, and BAM! 15 minutes later you have the most amazing cookies ever. Even my gluten-mongering friends are like OMG with these cookies. Best. Cookies. Ever. Seriously – you could put some vanilla ice cream and other stuff on them and make a brownie barge type thing but they are so good I hate the idea of actually putting anything on them. I appreciate them all by themselves. WARNING – do NOT bake all of them at once if you are alone. You will eat them ALL. I tend to cook four at a time right before I bring two to a friend. If I wasn’t bringing them until the next day, I would eat them all. You will not be able to resist. Honestly. 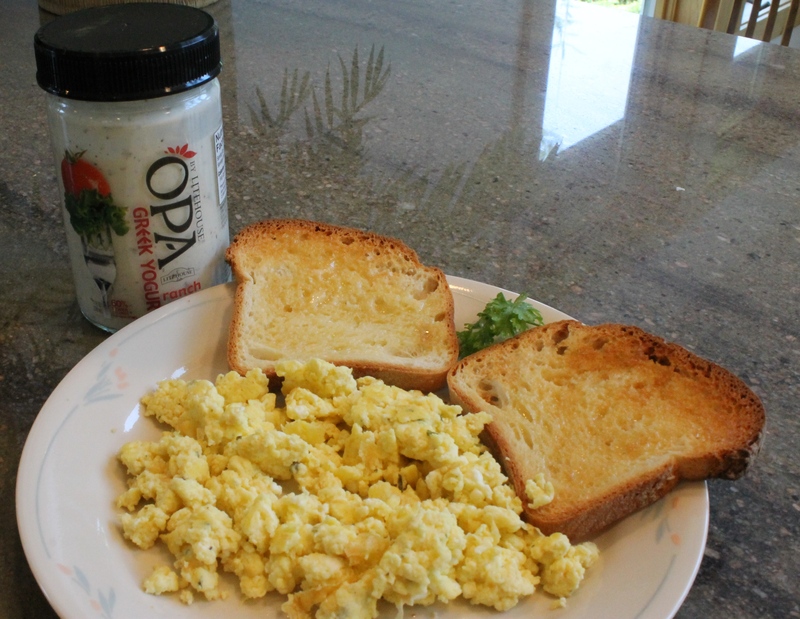 Run, don’t walk, to your nearest Safeway or the other stores which carry this product. You won’t be sorry. 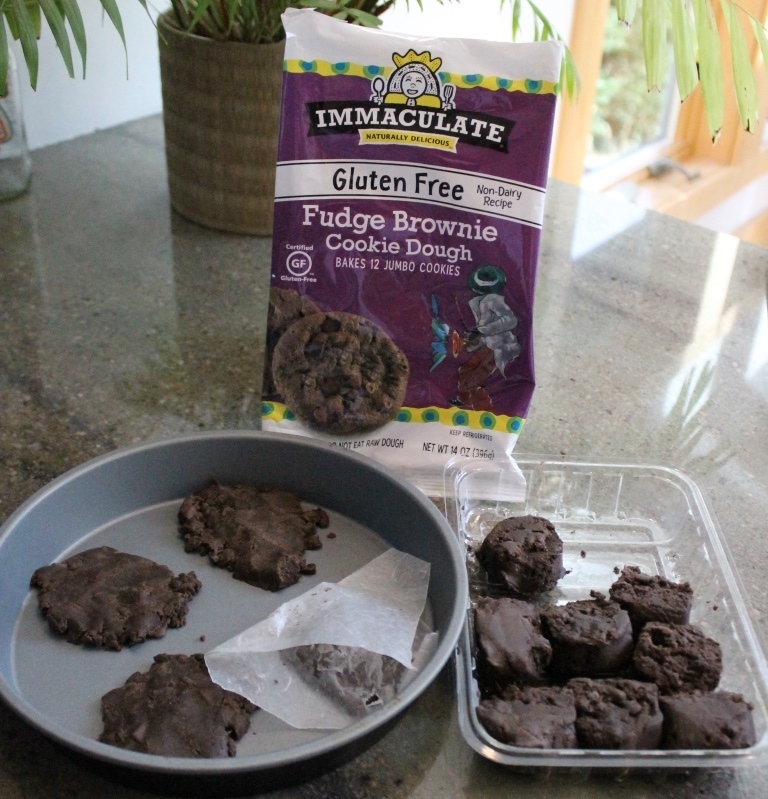 More information (including a store finder) is available at www.immaculatebaking.com. One word: yuck. Sorry, LUNA, I am a supporter, but I couldn’t stand this. The first thing that assaulted my senses was the taste/smell of alcohol on the very first bite. Then there was a weird saltiness. The only reason I was able to finish the bar was because I drowned it in Cool Whip (which I then proceeded to eat directly out of the container to get the LUNA taste out of my mouth. I’ll let you decide whether I’m joking about that or not). The flavor was supposed to be Chocolate Chip Cookie Dough. The only other two flavors available (in the store) contained peanut butter, and I’m not a fan of that. I’m also not a fan of soy-based protein, which is the foundation for this bar. It didn’t occur to me to check the ingredients in the store – I just saw GLUTEN FREE and the 99 cent special price and dove in. Yes, I’m a big dummy. This LUNA bar is 170 calories, 6g of fat, 12g of protein, and contains decent amounts of calcium, Vitamin D, iron, and other stuff. Oddly, there was no chocolate liqueur which a lot of these bars use for flavor. It turns out that they have a bunch of other flavors, too. You can check those out at http://www.lunabar.com/products/luna-protein Maybe those flavors are better. I don’t know. I do know that I’m not going to find out.